It goes without saying that any company is only as good as its employees, and employees are only as good as they feel. Research has proven what is intuitively apparent, that a happy and comfortable employee is a productive employee. Some while back, we shared a general overview of various ways in which an office can be optimized for peak productivity. Today I’d like to dig a little bit deeper and showcase some of the specific products and techniques that are being used to maximize comfort, well-being and productivity in the workplace. Thermal Comfort– Perhaps the number one battleground in the office environment is the struggle for control of the thermostat. One can imagine our ancient ancestors conducting important accounting work on an abacus while complaining about how Roy from marketing throws too many logs on the fire. Today there is an understanding that thermal comfort is not just the result of optimum air temperature, but also surface temperature, humidity and air speed. Blinds, fans and flexible dress codes are all useful tools in helping the office dweller achieve his or her optimal comfort, but perhaps nothing is more important than a well-managed heating and cooling system. To that end, the ‘Comfy’ app provides an opportunity for employees to interact with the central system. 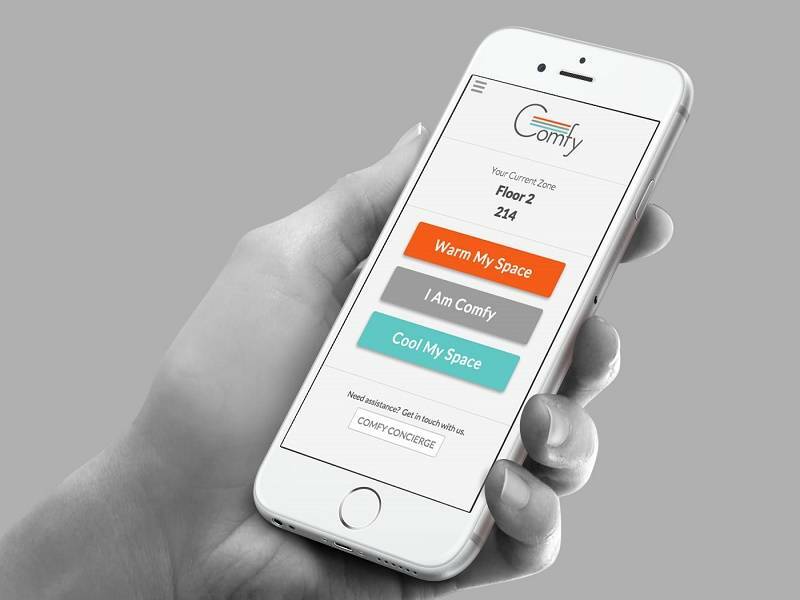 Users can select one of three options: ‘Warm My Space’, ‘I Am Comfy’ or ‘Cool My Space’. When prompted by two or more employees, the system will send a blast of air, warm or cool, to the area in question. Of course, we all have our varying preferences, so the result won’t please everyone, but it will provide a convenient real time method of communication between the temperature control system and those who have to live with it. Air Quality– Poor air quality can lead to respiratory illness, infections and a general malaise. The result will be decreased productivity, or worse, absenteeism. There is no silver bullet in the fight for clean air, but proper ventilation and a quality vacuum cleaner are a great help. 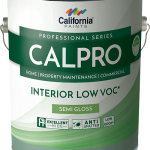 Also of importance are the usage of low VOC products. Volatile organic compounds are present in many paints, cleaning products, pesticides and more. By carefully choosing low VOC products, you are taking a step in the right direction, air-quality wise. 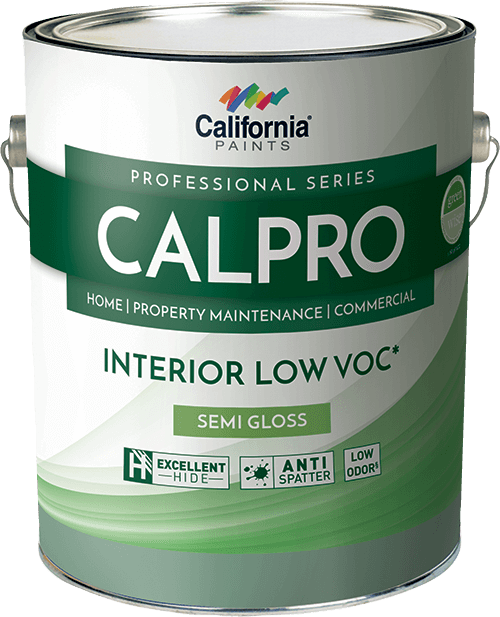 Low VOC paints lead to better environments, not only in the immediate aftermath of a paint job, but for years to come. Interior Layout– People have come to understand the benefits of open concept offices. By allowing space for organic conversation we essentially create an incubator from which ideas and synergies can emerge. But what about the times when you just need to be alone and concentrate? An increasing number of companies are turning to privacy pods, which, as the name implies, are spaces which one can retreat to for periods of solitude. Manufacturers compete based on sound proofing, efficiency of space and visual appeal. Pods offer flexibility, as they can be added or removed more easily than traditionally constructed offices. What’s more, it’s kind of like working from your own private clubhouse. No grown-ups allowed! Circadian Lighting– Human beings are creatures of the sun, and few factors influence our productivity, and overall sense of well-being, like proper lighting. Windows offer the double benefit of providing natural light, as well as a good view. As for lighting systems, a great deal of research and development has gone into creating lighting schedules that mimic our natural environment. Companies like Circadian Light and Walalight factor in time of day, time of year and even geographical location as they control lighting systems that attempt to provide us the light we need, when we need it. Noise– Rock giants AC/DC famously declared that ‘rock n roll ain’t noise pollution’, but have you ever tried to finalize a report during an Angus Young guitar solo? Add in the sounds of traffic or chatter, and it can be difficult to keep your train of thought. On the other hand, silence can be deafening as well. To this end, a host of apps, such as Noisli, have been created with the end goal of providing you just the right amount of background noise to suit your personal preference and the task at hand. Biophilia– This concept is the study of man’s innate connection to nature. 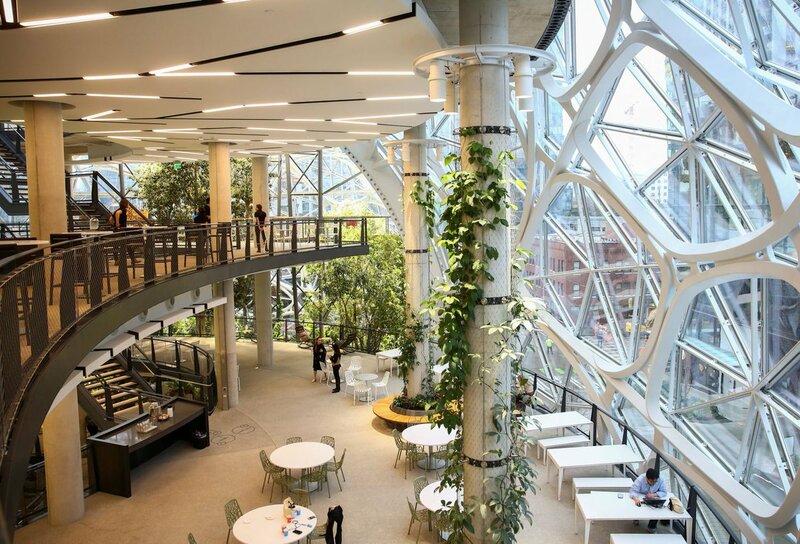 In urban environments, greenery can be tough to find, but urban gardeners have taken to creating elaborate rooftop gardens, which can serve as a refuge for employees, and a great view to those in neighbouring buildings. These ideas are simply the tip of the iceberg. Research uncovers a host of ideas for an improved environment, and even more companies vying to provide them to you. 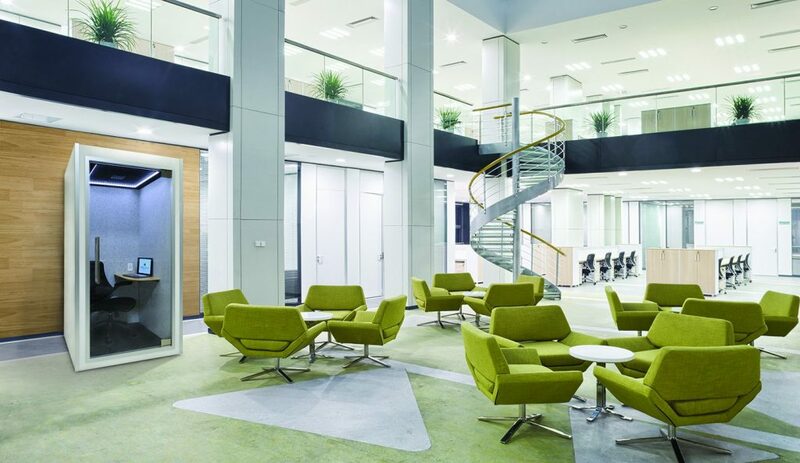 No two offices are the same, so a careful analysis of needs, as well as an ongoing commitment to meeting them will be key as you attempt to maximize comfort, well-being and productivity in your office environment.